Pfc. Otto E. Britton, son of Mrs. C. A. Banes, attended school in Hollister; husband of the former Delia Mae Ratliff. 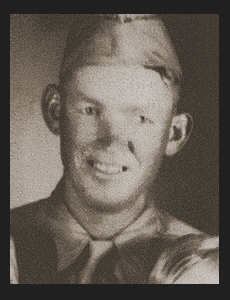 Entered the Army in March 1944, trained in Camp Fannin, Texas; served in France, Luxembourg, Belgium, England, and Germany where he was wounded in Nov. 1944. Awarded the Purple Heart, Good Conduct Medal, ETO Ribbon with three Battle Stars.